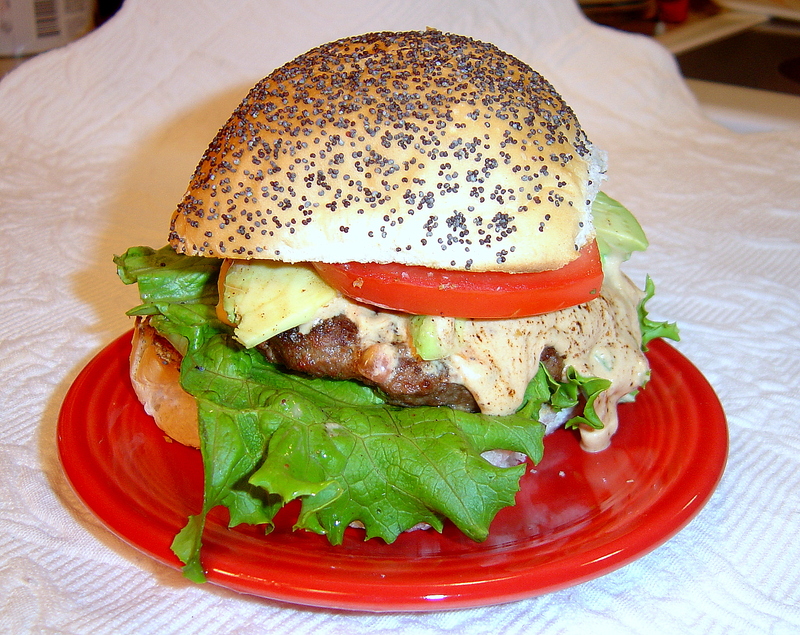 This recipe comes from friend and fellow foodie Bergy at recipezazz.com, who found the recipe in Chatelaine, and it’s one of the 15 burgers they recommend. 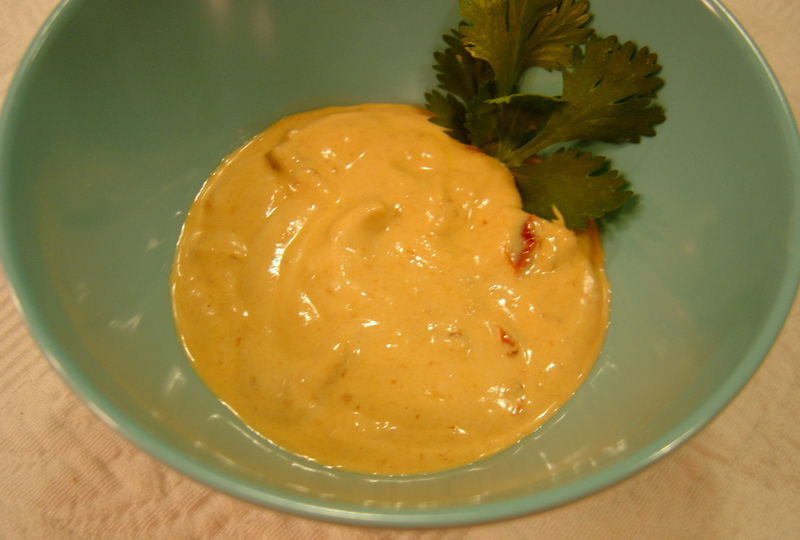 The recipe itself is quick to put together and the sauce a quick whiz in the food processor. 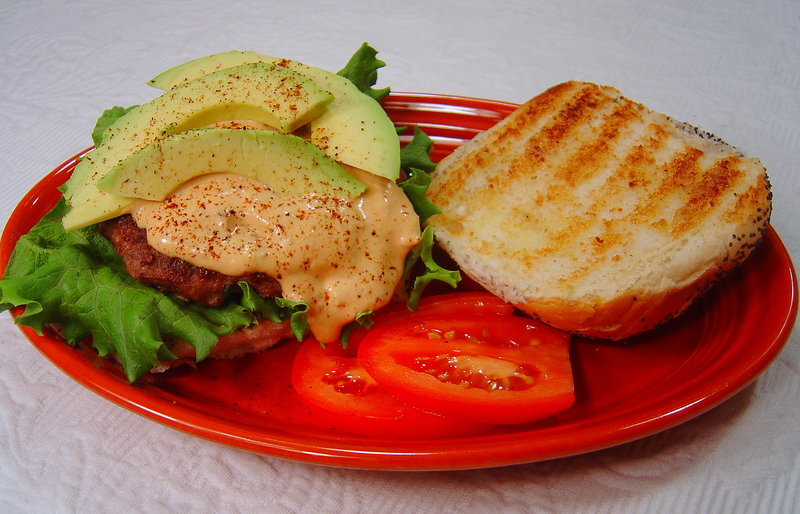 We may not think *healthy* when we think burgers, but the sauce is so much healthier than mayo, avocados are good for you, and if you like, you could probably make this with ground turkey. I did use pickled jalapenos in mine, but I swear, I did have some banana peppers. But I think the dog ate them along with my homework. But hey! No worries! I grill mine over a wood fire, because I am a stickler for smoke, and it’s easy enough to grill the bun at the end. Quick lunch? You bet! And what better way to spend warm early summer weather than out on the patio with one of these stealth bombs ? Doesn’t that sauce look spicy and yummy? I could go for one of these right now Sue too! This burger sounds so good! Thanks for sharing on the National Hamburger Day Blog Party!